Last Sunday morning I attended a Gregorian mass with my friend Ashley in the Notre Dame Cathedral in Paris. This is one of the most beautiful churches in the world and serves as my place of worship during my semester here in Paris. 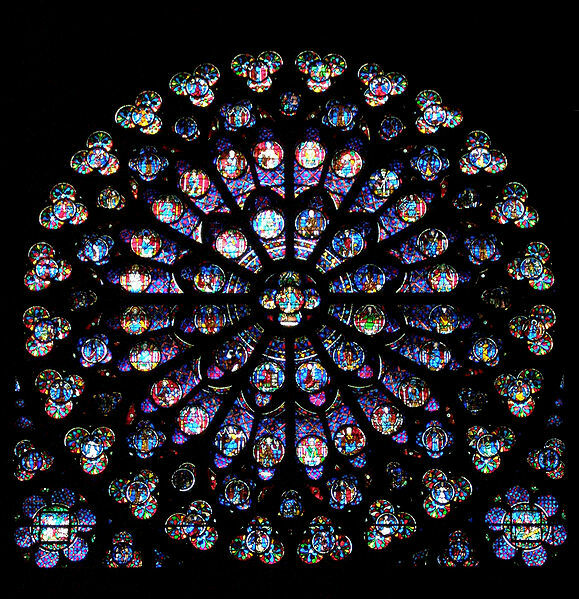 The vaulted ceilings, the colorful stained glass windows, the rose window depicting the life of Christ, and the echo of the chants filled this Cathedral with an air of reverence and an atmosphere of worship. There wasn’t an empty seat to be found as Parisians, Americans and tourists from all over the world came together to pray and recite scripture in Latin, French, and English. This imposing cathedral was built in 1160 by the architect Maurice de Sully in the Gothic style that was popular during this time period in Europe and was essentially completed in 1345. It was also one of the first buildings to use the “flying buttresses” to support the apexes. 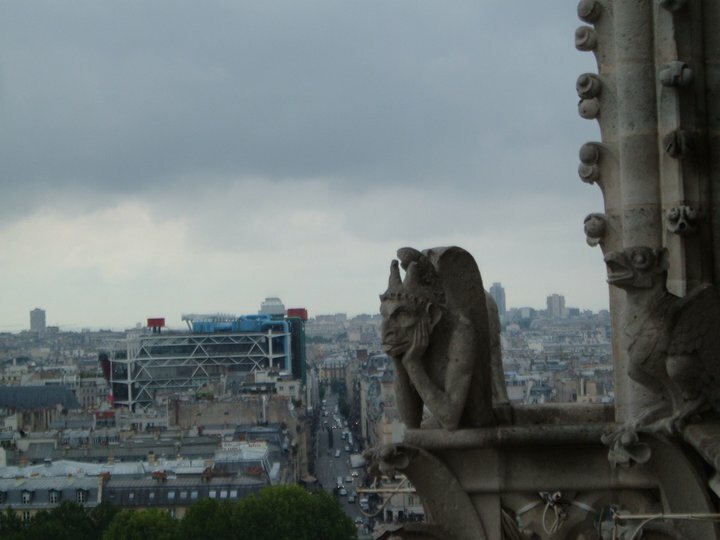 Of course, no visit to the cathedral is complete without the narrow climb of 387 steps to view the famous bell (thanks to Quasimodo), its gargoyles and the spectacular view across Paris. 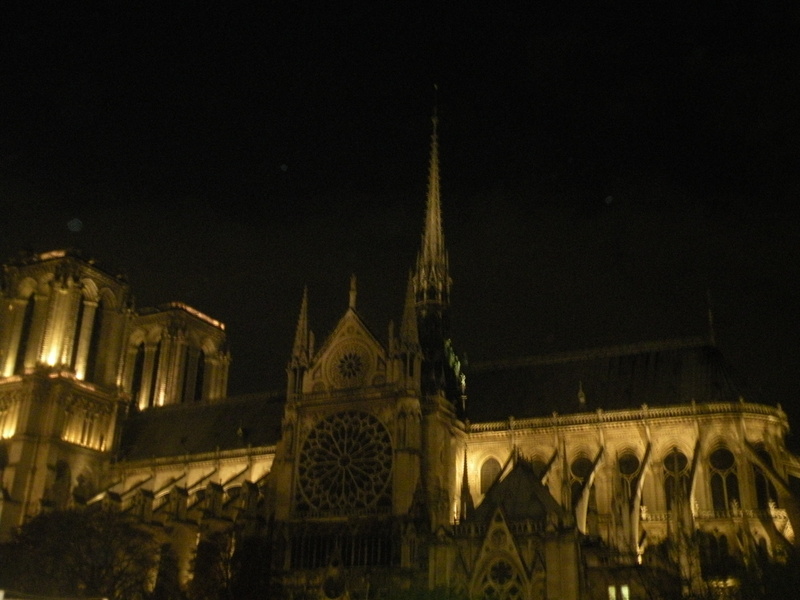 Notre Dame has been a huge part of the history of Paris, Europe and the World. It houses the (purported) instruments of the Passion of Christ, the crown of thorns and a fragment of the True Cross, and has hosted such important events such as the coronation of Napoleon I and his wife Josephine (1804) and the mass celebrating the liberation of Paris during WWI. 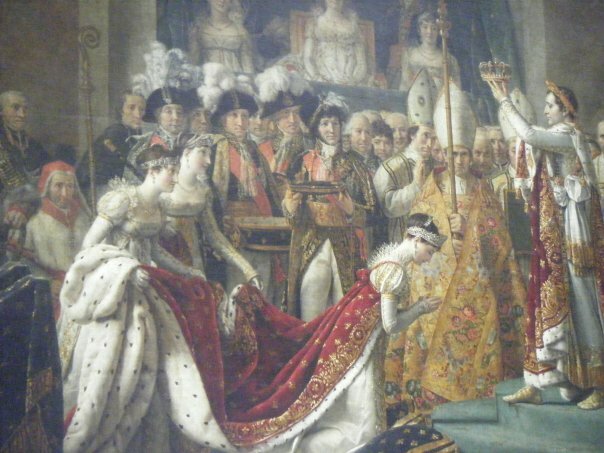 The Cathedral was severely damaged during the French Revolution including the decapitation of 28 statues of the Kings of Judah which the revolutionists thought to be Kings of France. (The Cluny museum has the heads on display). Fortunately in the 19th century Notre Dame was fully restored thanks in part to Victor Hugo who wrote his book The Hunchback of Notre-Dame de Paris to make the Parisians realize how crucial this Cathedral was to the history and preservation of Paris. 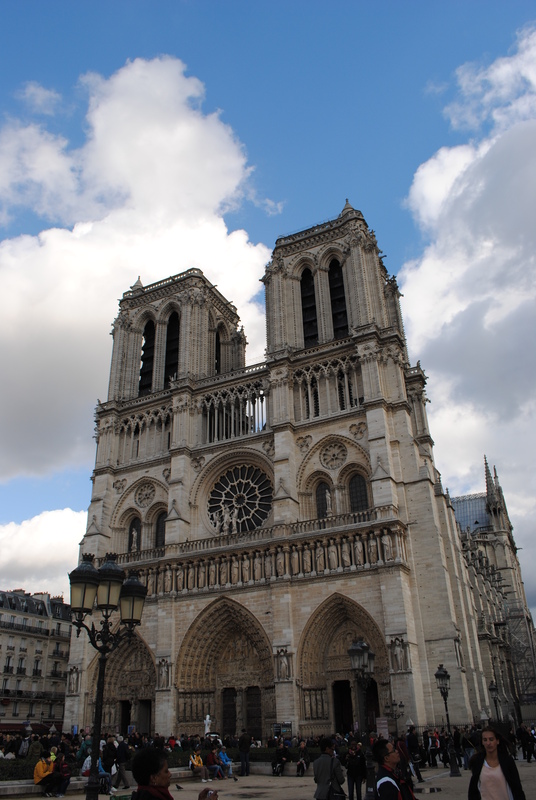 Hugo used the funds from his Hunchback novel to pay for the renovations including a spire which would later be replaced after the French Revolution. 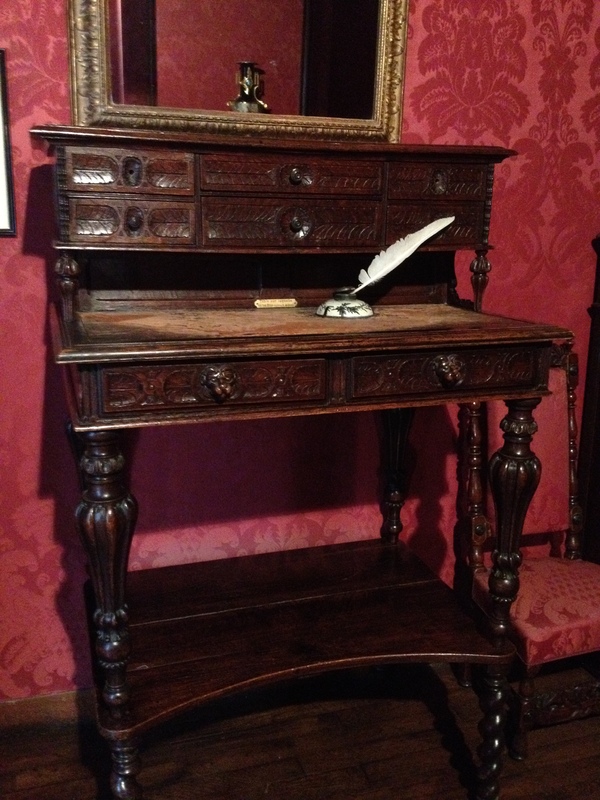 The writing desk where Victor Hugo penned this great novel can be viewed today in his home at the Place de Vosges in the Marais section of Paris. When I finish reading his 1231 page volume of Les Miserables, I plan to read about this magnificent, historical part of Paris through Hugo’s pen! The next time we are in Paris, I want to attend the Gregorian Mass at Notre Dame Cathedral..
We had 3 hours in Paris last spring and this was the one building we did get to see inside and out. It’s amazing. Thanks for the background info. Next time we’ll make the 387 step trek (probably Brian will and I will cheer him on from below).